Holy Communion is such an important time in a child's life. 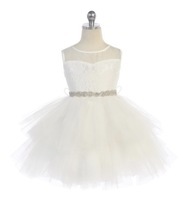 Finding the perfect Communion dress is such an important part of the special day. 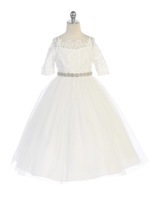 Formalkids.com is proud to offer an array of first Holy Communion dresses for all budgets. 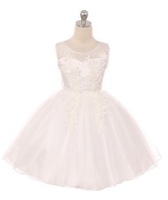 Holy Communion dresses starting at $29.99. 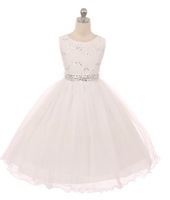 Whether it's a simple tea length dress or an extravagant floor length gown embellished with pearls and beads. 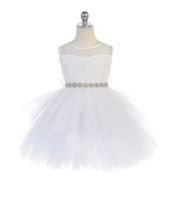 We offer both, as well as all matching communion accessories. 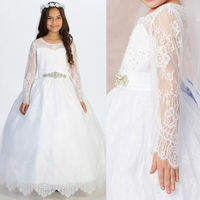 If you need a plus size communion dress rest assured that we also have a huge selection of plus size communion dresses start at size 18+ through 20+.